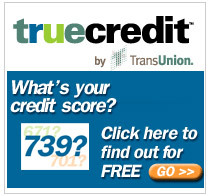 TrueCredit is an online credit report service. 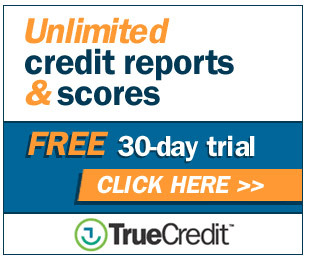 You can get a free credit report along with a free trial to their credit monitoring for a low monthly price. You get a free credit score along with access to all 3 bureau's credit report about you. – Unlimited access to ALL THREE of your credit reports and credit scores. – Notification within 24 hours of critical changes to all 3 reports. – Lock & unlock your TransUnion credit report with just one click. – No obligation, cancel anytime. TrueCredit will email you everytime there is a critical change to your account so you're always informed.